Jessie from ‘Bottles Be Glowing’ sent us a picture of her newest black and bronze creation. Jessie is currently selling her bottles on Etsy. I sold “The key to my heart” bottle on Etsy last night..woohoo. It had been slow, but busy selling around home so I cannot complain! 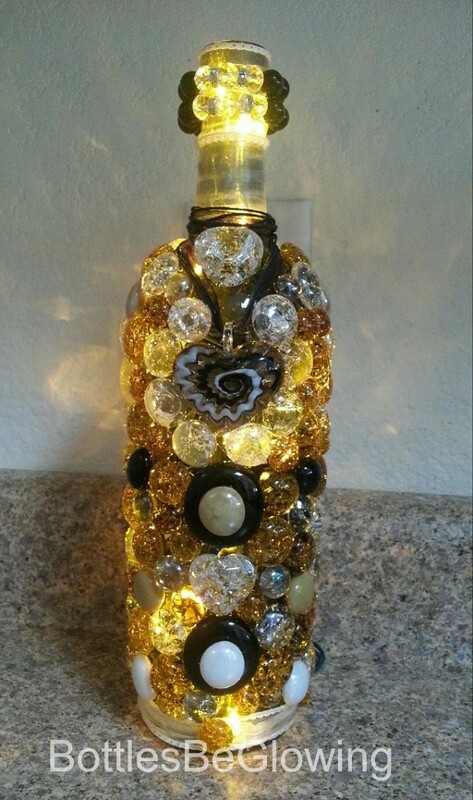 This Black and Bronze lighted bottle turned out wonderful!